8 Tips from Thomas Walsh, M.D. Whether you’ve recently become caregiver to an aging or ill family member –or have been tackling the responsibility for some time– you must make your own health a priority. The caregiving role can be very rewarding, but it can also tax you both physically and emotionally. After becoming a primary caretaker myself, I learned several lessons and have a keen interest in this issue. Slow down. When you are trying to juggle many responsibilities, you often rush through things and are distracted. This can lead to accidents and injuries. You don’t want to burn yourself while cooking, slip in the tub, etc. Studies show that household and car accidents are more common among those with a high stress level. Use your freezer. Trying to “eat right” or prepare healthy meals when you’re caregiving is tough. Accept offers for meals from friends and try to cook ahead and freeze meals to have on hand. A big pot of soup is great to freeze in batches. Stockpile healthy snacks like almonds, yogurt and fruit to grab on the go. Make exercise a priority. Again, finding time for this is tough, but you need to keep your energy up and relieve stress. If you are caring for someone with mobility issues, you’ll also need to stay strong for tasks like lifting. Try to find at least 30 minutes a day for a workout you enjoy. Sleep to recover. Disrupted sleep definitely saps energy and can lead to more anxiety. Adults need 7-8 hours of sleep per night so try to adopt good sleep habits- a dark room, no electronics, no caffeine or alcohol close to bedtime. Stay organized. Another way to reduce stress is to know where things are when you need them. Starting a file for medical/insurance papers, or financial information, for your loved one will help keep them in one place. A large calendar for family appointments/events can help with daily planning. Ask for help. Try to develop a support network and say “yes” if people offer to drive, sit with your loved one, or take care of errands. Look for professional resources such as adult day care facilities. Several organizations, such as the Administration on Aging (which has an elder care locator by state) and the National Alliance for Caregiving (www.caregiving.org) provide great information. Have “the conversation”. Make sure you understand what your family member wants in case you become responsible for making decisions for them. It may be uncomfortable- and stressful. However, you should know the ins and outs of power or attorney, a living will, or healthcare proxy. If you don’t, find an eldercare expert or attorney to help. Lastly, go easy on yourself. Don’t feel guilty for taking time to exercise or care for your own emotional well-being. 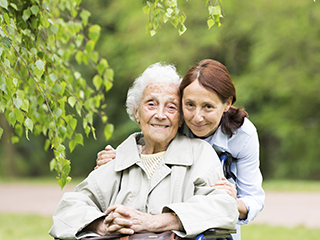 Studies show that caregivers’ health often deteriorates over time due to stress and lack of sleep, poor diet, etc. Your doctor can also help with keeping you healthy and suggesting resources in the community. As a reminder for how to tackle the caregiving role, I often use what I call the “airplane analogy”: Right after you board a commercial airplane, the flight attendants will review the important safety instructions. If the cabin loses pressure and the oxygen masks drop down, they stress, “If you are traveling with a small child or someone who needs assistance, put your own mask on first, then help the person that needs assistance.” Caregivers need to live by this rule: Take care of yourself first or you will not be able to help the person who needs assistance. 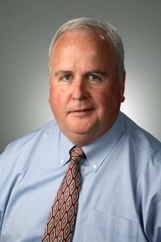 Dr. Thomas Walsh is an MPCP Partner and Clinical Director of the MPCP Queenstown office.